In 1959, not yet 20, he made his provincial debut against the touring British Lions. All Black honours followed in 1963. In an illustrious career in the black jersey he played a total of 68 matches. He was captain in 18 of the 25 test matches he played for his country. An outstanding no. 8 or lock, he was inducted into the International Rugby Hall of Fame in 1999 and knighted the same year. Overlooked for the All Blacks in 1964, Lochore was recalled for the following year’s series against South Africa. From that point he became a permanent fixture in the national side until he retired from international play after the 1970 tour to South Africa (he played one test in 1971 to help out an injury-struck side). 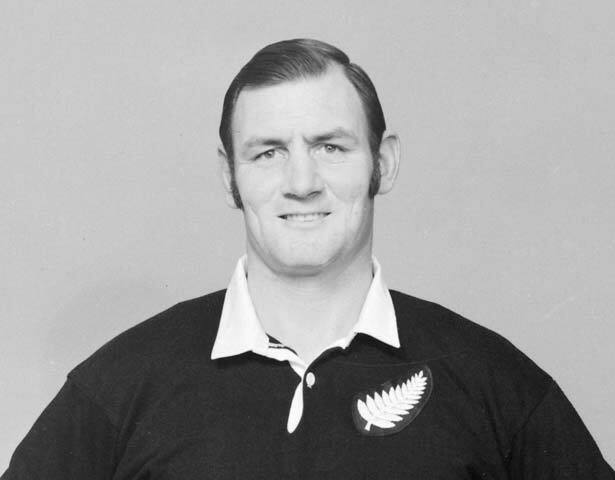 In 1966 All Black coach Fred Allen appointed Lochore as All Black captain ahead of more experienced alternatives such as Colin Meads, Kel Tremain and Ken Gray. In his 18 tests in charge Lochore lost only three times – all in South Africa in 1970. When his playing days ended Lochore moved into coaching, initially with the Masterton club and from 1980 with Wairarapa-Bush. Under his guidance the union achieved promotion to the first division of the National Provincial Championship in 1981. He became an All Black selector in 1983 and coached the national team from 1985 to 1987, culminating with home success in the 1987 World Cup final. Lochore also managed the All Black team which narrowly lost the 1995 World Cup final to South Africa. Lochore played a significant role in the 1995 negotiations as rugby went professional. A split in world rugby seemed certain and many current All Blacks signed contracts with the Sydney-based World Rugby Competition (WRC). Lochore’s mana in New Zealand rugby helped ensure that in the end the country’s leading players signed contracts with the New Zealand Rugby Union. The rival WRC soon collapsed. Lochore’s iconic status within New Zealand rugby has been acknowledged by the naming of one of the two cups contested in the Heartland Championship in his honour. We have 12 biographies, 6 articles, related to Brian Lochore.